The lawn has it origins in the 18th century in England and France. It was a sign of wealth for the rich and powerful, it showed that they could afford to waste precious space growing something for recreation rather than food. This idea was brought over to the US for many the same reasons and it stayed a luxury of the wealthy for many years. Everything changed after WWII however, when the explosion of suburbia and the wealth that came with it let even average American have a front lawn. The front lawn despite its long and dignified history in American culture has come to a crossroads in its existence. With the growing environmental movement and cost of maintenance, the perfect manicured lawn has become something of a dinosaur in our modern culture. But there is a stigma with not having a front lawn and it can be difficult for people to get past that even if they want to. But their are many good reasons why you should consider tearing up the front lawn and what follows are 3 of them. 580,000,000 million gallons of gas are used in lawn mowers each year. The facts are plain that lawns pose a environmental hazard and for that reason alone they should be removed from the American culture. But they are firmly rooted in our history and many people are not ready to give them up. So if you can't give up your lawn you can at least reduce its impact by changing how you care for it. Switching to a reel mower instead of a gas guzzling model you can take the pollution from oil and gasoline out of the picture. 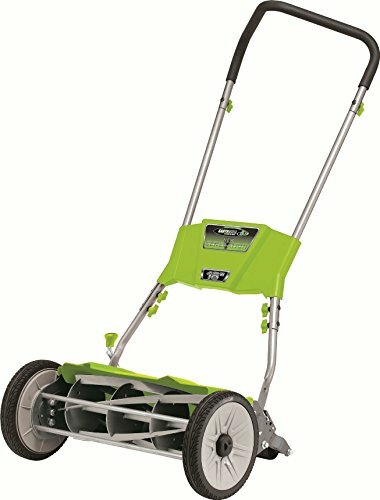 Reel mowers do have a bad reputation, but if maintained and used correctly they work just as effectively and I have found that they will push you have a better lawn as they are good at cutting grass only. So all those weeds you have been getting away with will have to go since they don't cut well with a reel mower. 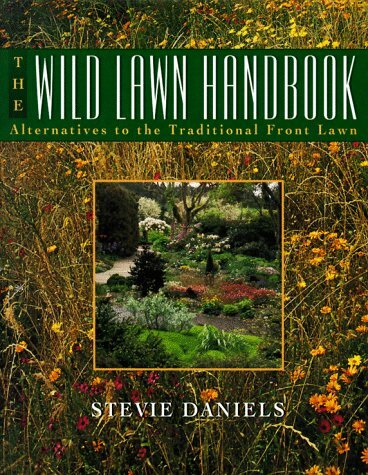 The next thing you can change is how you fertilize your lawns. Most of the time nutrients are applied using artificial chemicals and fertilizers which tend to be applied to heavily by your average homeowner. This can be mitigated by following the instructions on the package exactly or by using a natural compost to fertilize your lawn. I lean towards the natural compost as it has almost no impact on water quality, can be really cheap or free, and incorporates nicely into a lawn with a little spreading and watering. Lets face it, a lawn can be a lot of work depending on how much effort you want to put into it. Judging by some of the lawns I see around the neighborhood there isn't much work that gets put into some. But if you do put a lot of work into one you know that between the mowing, weed whipping, fertilizing, weed spraying and mower maintenance the work never seems to end. An option that is both beautiful and gives you a return on your work is to install a perennial garden instead. Filled with wild flowers, fruiting plants and green privacy shrubs you can reclaim your front lawn as a place you want to be rather than that patch of grass next to the road that it is now. If you plant a perennial garden that captures and uses all the water and fertilizer you put on it you will waste little of your money or time. While establishing a perennial garden will be a lot of work right away, once it is built you can simply enjoy it and all that is has to offer. If I built one it would have tall rose bushes around the edges with a myriad of fruiting plants like raspberries, grapes, and strawberries scattered in the center to offer a sweet treat. This one is definitely a personal taste of mine but I see a front lawn as wasted space with so much potential. You can garden it, grow a few fruit tree's, or turn it into a summer swimming pool for your kids. If you do change the lawn you might run into issues with neighbors or homeowner associations that might have a say in what your property looks like. But with a little wheeling and dealing you could make something happen. Your home and property is meant to be enjoyed by you, not your neighbors or random strangers walking down the street. I love the idea of having a natural yard, and the more environmentally friendly ways of caring for a yard, yet I do think that the benefit of having any kind of living yard should not be overlooked. I think, especially in urban settings made of concrete and having low air quality, that any living plants are beneficial; even if it is in the form of a traditional lawn. I did enjoy the article very much. It certainly gave me a new thought to process when it comes to my future yard and how I should utilize the space.